Presenting gifts to friends and family on special occasion like birthday or wedding is culture in India. Usually we give gifts in form of cash or gift voucher. Now we have new alternative of giving gift to someone by Gift Card. 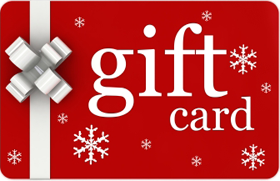 In this post I will discuss in detail about gift card and its advantages. Gift Card is prepaid plastic card issued by banks. It is an alternative of non-monetary gift. You can load this card with the amount you wish to give it as a gift. This card can be presented at any authorized point of sale for the purchase of goods or services. Gift card looks like credit card. What Gift Card can offer? Gift cards gives freedom to end user for choice. Validity of this card varied from 1 year to 3 years. Gift cards can be used for consuming any goods and services online or offline. Gift card can be customized as per your need. You can load any amount starting from 500 Rs/- to 50,000 Rs/-. You can also get option to personalize this card. Recipient of gift card can take advantage of discount offers and sale. It brings additional saving to recipient of the card. Gift card is ideal solution for distant gifting. You can order gift card online and get it delivered to intended recipient anywhere in India. How to get Gift Card? Majority of public and private sector banks like SBI, ICICI, HDFC etc. offers gift card facility. You don’t need to have an account with that bank to get this card. To avail gift card kindly visit nearest bank along with your ID and address proof. You need to fill application form and submit cheque for the required amount for gift card. Your card will be activated within one working day after realization of cheque. You can also get gift card by applying online. In order to file online application for this card you need to have saving bank account with that bank. Just login at bank portal with internet banking id password, apply for gift card and it will be delivered to your address. You can have option to customize gift card in online option. Card issue charges varies from bank to bank. HDFC and ICICI bank charges 100 Rs/- for this card. Certain banks also charges percentage of amount to be loaded on the cards. Minimum amount loaded in this card is 500 Rs/-. & Maximum is 50,000 Rs/-. This amount varies from bank to bank. Limit may be higher if you hold account in same bank. Validity period of this card is usually one year from date of issue. Some banks like SBI offers extended validity for this card three years. At the expiry if amount is left in card bank may reissue or renew the card. Like ATM debit card,this card is also secured by unique PIN number. You can check balance by using PIN number. You can avail Gift card from ICICI bank here.